Persistent debt, power and energy problems on the U.S. Caribbean island territory of Puerto Rico – including financial insolvency as well as recurring power outages and rationing – continue to plague the island’s economy and society. The rising costs, losses and damages are substantial and continue to mount as the island’s new governor, state-owned utility Puerto Rico Electric Power Authority (PREPA) and a U.S. Federal Control Board continue to try to hammer out a recovery plan and a deal with bond and debt holders while struggling to keep the lights on and residents from emigrating. The problems in Puerto Rico aren’t all that unusual for Caribbean island states and developing countries more generally. Typically, energy and power costs are high, power generation, transmission and distribution infrastructure is limited and prone to failure, and it’s largely dependent on diesel fuel imports. Furthermore, mismanagement, which can take on many facets, tends to be the rule rather than the exception, fostered by relationships between utility executives and politicians that are all too cozy and systems of government that lack adequate checks and balances. Compounding these problems, rising sea levels due to climate change raise the threat level. All that said, when it comes to power and energy, island states do have a lot going for them. Renewable energy resources – solar, wind, marine and biomass – abound. By and large, they just haven’t come around or been able to tap into them. In the U.S. the equity shares of utility companies have long been considered a “safe haven” investment. Highly regulated and enjoying monopoly or quasi-monopoly status in designated service territories, they’re able to pass on capital costs to ratepayers with regulators’ approval. They are able to lock in a regulated rate of return, insulating them from the ups and downs of economic cycles, and they typically pay out a steady stream of dividends at higher than average rates. Not so in Puerto Rico, or by and large across the Latin America-Caribbean region and the developing world. Puerto Rico is in the midst of 10 year long recession, and it’s borrowed heavily in attempts to reverse the downward economic trend, which has prompted growing numbers of residents to emigrate. The situation highlights several longstanding issues revolving around power and energy utilities, industry and markets on Caribbean island and developing nation states worldwide. It also raises awareness of the risks, as well as the rewards, associated with investing in development of largely untapped distributed solar and renewable energy resources. Government policy and regulatory reform is a keystone for spurring investment in and development of power and energy production and distribution. Typically, opposition from entrenched, politically vested fossil fuel and utility interests is a primary obstacle. How to overcome this poses a complex and difficult challenge, but it’s not the only one. Economics is increasingly tilting the balance in distributed solar and renewable energy’s favor, however. 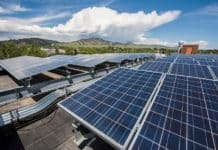 So are public institutional and solar industry public outreach campaigns, which highlight the social and environmental benefits of solar energy and cleantech, as well as how they can be used to shore up grid efficiency, reliability and resiliency. Like many companies in the U.S. and around the world, Puerto Rico’s government and state electric utility took on huge amounts of debt when banks were lending money freely in the first decade of the new millennium, a trend that eventually led to the implosion of the U.S. housing bubble, the near collapse of the global banking system and a deep recession whose effects continue to resonate across the U.S. and global economy. 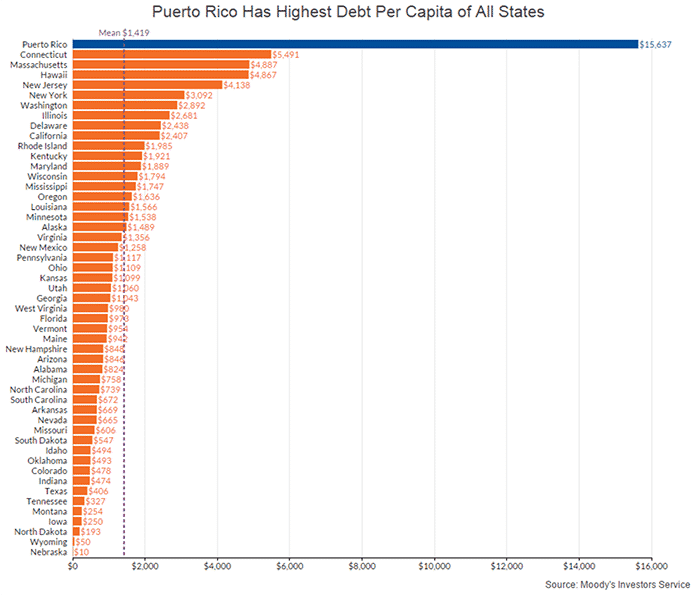 After years of borrowing to cover budget deficits, Puerto Rico is more than $70 billion in debt. The biggest chunk – more than $9 billion – is owed by PREPA. Contrary to what many may believe, outright corruption is rare in Puerto Rico’s public sector, Planet Solar founder and CEO Ben Seibert explained in a telephone interview. Rather, employment at PREPA is a form of political patronage. Rewarding key supporters and family relations jobs at PREPA and other state-owned agencies is a traditional practice. Typically, the actual job requirements and responsibilities fall far short of what would typically be expected, while salaries and benefits are extremely generous, much higher than those for equivalent positions in the private sector. One result is that PREPA is essentially drowning in a sea of accumulated pension liabilities, Siebert explained. Money raised for capital expenditures and other long-term public benefit, such as upgrading and modernizing the utility grid, instead are used to cover pension liabilities, operating expenses and debt service obligations. This “social welfare” oriented attitude towards electric service and utility management, as well as nepotism, is common across the Latin America-Caribbean region and developing world. 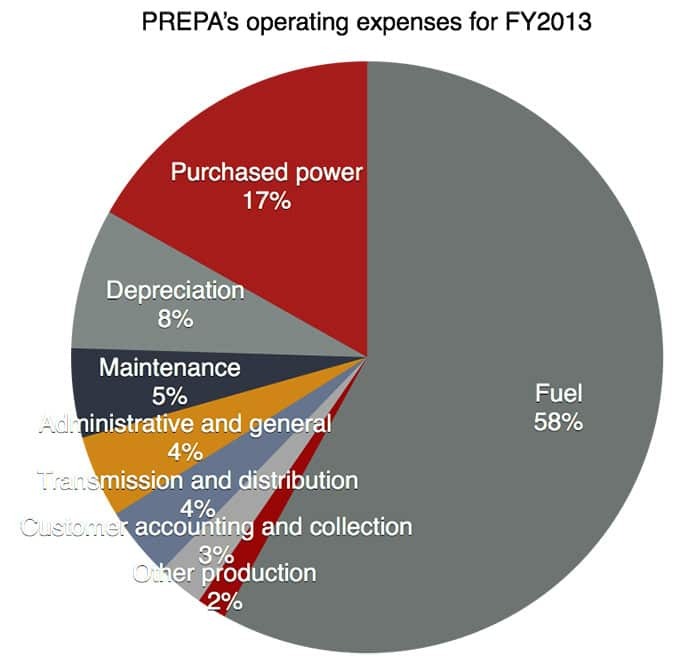 A growing load of unpaid customer bills adds weight to PREPA’s financial burden, Siebert pointed out. Akin to their counterparts elsewhere, Puerto Ricans tend to view electricity as a basic human right. Valid as that may be, someone has to bear the costs and risks. It was only recently, for instance, that PREPA began warning customers that it would turn off their electricity if they didn’t pay their overdue bills, Siebert noted. As they use more energy than the average Puerto Rican, wealthier residents and large energy consumers who hold off paying their PREPA bills benefit most. Unconstrained, this approach to utility management also makes for an overweight and unnecessarily burdensome bureaucracy, which is compounded given PREPA’s dual role as the state regulator, as well as power generation, transmission and distribution utility. 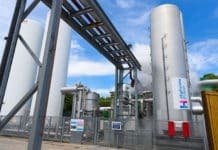 PREPA’s monopoly power has been loosening gradually as the “green” energy wave reached Puerto Rico’s shores and government began instituting regulatory changes that have opened the doors to independent power producers and development of the island’s abundant solar and other renewable energy resources, as well as advances in energy storage and smart grid technology. Nonetheless, solar and renewable energy companies still need to apply to PREPA as industry regulator to obtain required licenses and permits, as well as for grid interconnections. Public transparency, accountability and representation also number among issues of widespread public concern. Early in 2016 Puerto Rico solar companies and supporters banded together to form a public solar and consumers advocacy group to serve as a single voice in stating their views and suggestions to the government and public. Led by Puerto Rico solar energy pioneer, Maximo Torres, the founder and chief executive of Maximo Solar, the group was instrumental in getting PREPA and the government to streamline bureaucratic processes, including the time and expense of obtaining the variety of licenses and permits required to install solar PV systems on the island, Siebert explained. There are several other factors working in solar and renewable energy’s favor besides improving economics and broader social and environmental benefits. Again contrary to public perception, there are plenty of Puerto Ricans with plenty in the way of disposable income. Home ownership – and mortgage debt-free home ownership – is higher than average in Puerto Rico than it is in the U.S., Siebert told Solar Magazine. According to national statistics, the home ownership rate in Puerto Rico is 68.5 percent. That compares to 63 percent average across all 50 U.S. states. On the one hand, recurring grid outages have prompted apartment building and homeowners to install and run diesel-fired generators as emergency back-ups. 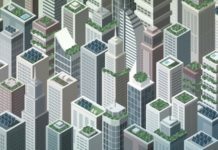 “I’d say roughly one-quarter of all high-rises and nearly all houses have back-up generators,” Siebert said. On the other hand, all those diesel gen-sets open up opportunities to replace them with intelligent solar PV-lithium-ion (Li-ion) battery-based energy storage management systems (LiBESS). 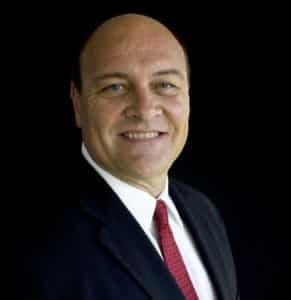 Lengthy rains, which can last a month, and the toll the salty, hot Caribbean climate takes on electrical and electronic equipment mean that a grid connection, or a secondary source of back-up power is required, however, Siebert pointed out. 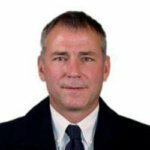 “I believe adoption of energy storage is going to be huge in Puerto Rico simply because there are so many high rises. That’s where we are focusing our energy storage efforts. Most single family residences have back-up diesel generators, which are noisy, polluting and high maintenance. Persistent grid problems and high energy costs have also resulted in Puerto Ricans being exceptionally energy conscious and frugal when it comes energy consumption. Island residents were quick to latch on to LED lighting, for instance, and by and large LED lighting is now a de facto standard in island homes and apartment buildings, according to Siebert. In addition, Puerto Rico has instituted net metering, which requires that solar energy “prosumers” be compensated for the electricity they produce. The government also offers other solar and renewable energy incentives, and a Green Energy Fund was launched in 2010. Siebert founded Planet Solar in California in 2007. The company now has a presence across the state, as well as Miami, Florida and in San Juan, Puerto Rico’s capital city. Despite all the challenges and hurdles, “I believe Puerto Rico is the best market in the U.S. in terms of solar energy adoption,” he summed up. “In 2013, there were only a few hundred solar installations. There were over 3,500 project installations in 2014 when we arrived, and we were part of it. Simple economics lend weight to Siebert’s view. Part and parcel of Planet Solar’s marketing campaign, the company highlights the difference in average monthly electric bills for homeowners with solar PV systems installed as compared to those without solar. Based on actual customer data, average residential single-family electric bills come in at $640 per month; for solar homeowners it’s $12, Planet Solar touts. Petroleum products fuel transportation, electricity generation, and industry in Puerto Rico, supplying four-fifths of the energy consumed in the commonwealth. In 2015, 51% of Puerto Rico’s electricity came from petroleum, 31% from natural gas, 16% from coal, and 2% from renewable energy. Two wind farms supplied nearly two-thirds of Puerto Rico’s renewable generation in 2015; one of them, the 95-megawatt Santa Isabel facility, is the largest wind farm in the Caribbean. 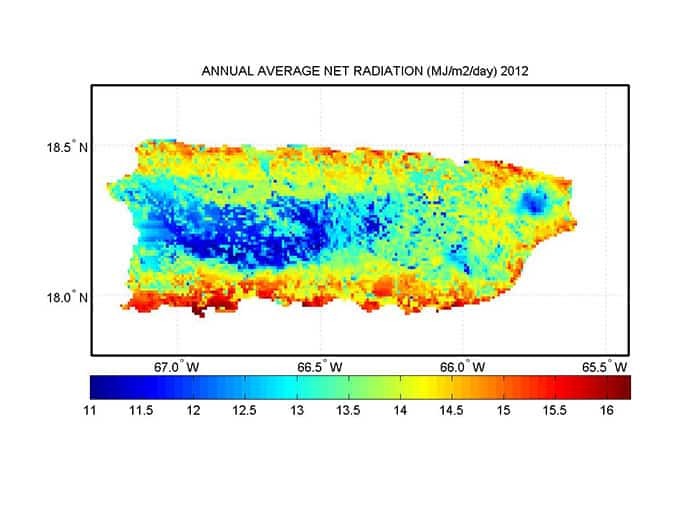 From July 2012 to April 2015, distributed solar photovoltaic generating capacity in Puerto Rico increased by a factor of nine, bringing distributed solar capacity to 37 megawatts. Solar capacity at utility-scale installations totaled 52 megawatts. Electricity fuel surcharges decreased as the price of oil dropped during 2015, but Puerto Rico’s retail consumers still paid more for their power than consumers in any state except Hawaii.